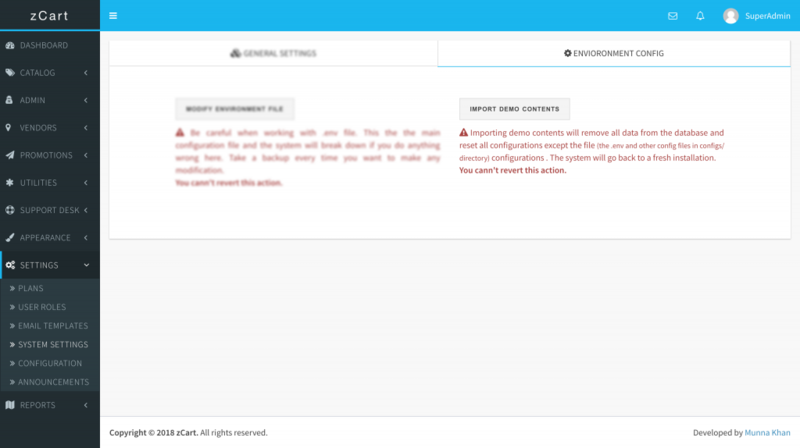 If you like to import some dummy contents to see how it works, you can do it from your super admin dashboard (Only the super admin can do this action). You’ll need to confirm your authenticity to project the system from accidental damage. Warning! Don’t do it if you already in production! Remember, this action will remove all data from the database.